MARQUETTE — A water main break was reported early Thursday near the Peninsula Medical Center in Marquette around 7:00 a.m. It happened near the Waldo Street entrance. At least three offices closed as a result of the situation, as some parts of the building lost water. 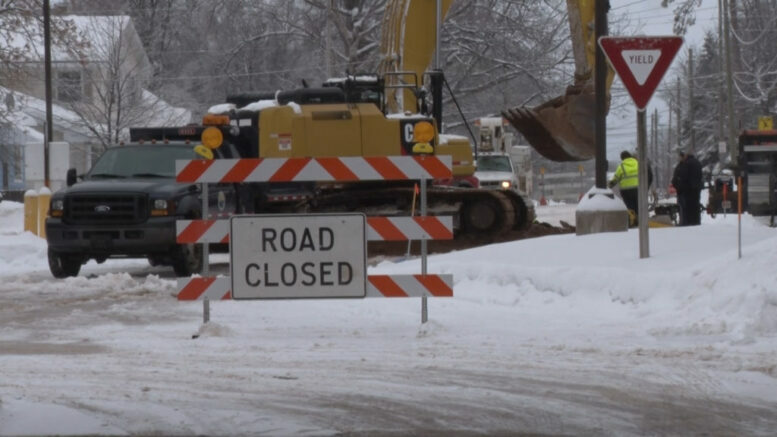 Eye Associates of Marquette and Surgical Associates of Marquette both closed at 10:00 a.m., and Marquette Internal Medicine and Pediatrics Associates closed at 1:00 p.m.
Crews were on the scene working diligently to repair the main break before Thursday night’s winter storm.